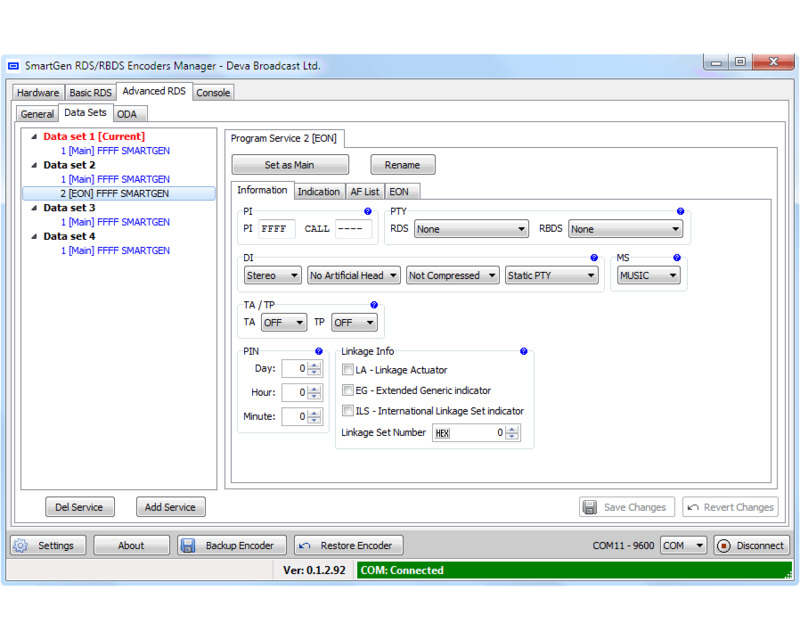 SmartGen 4.1 is a full-function RDS/RBDS encoder that supports both of European CENELEC and United States NRSC standards. 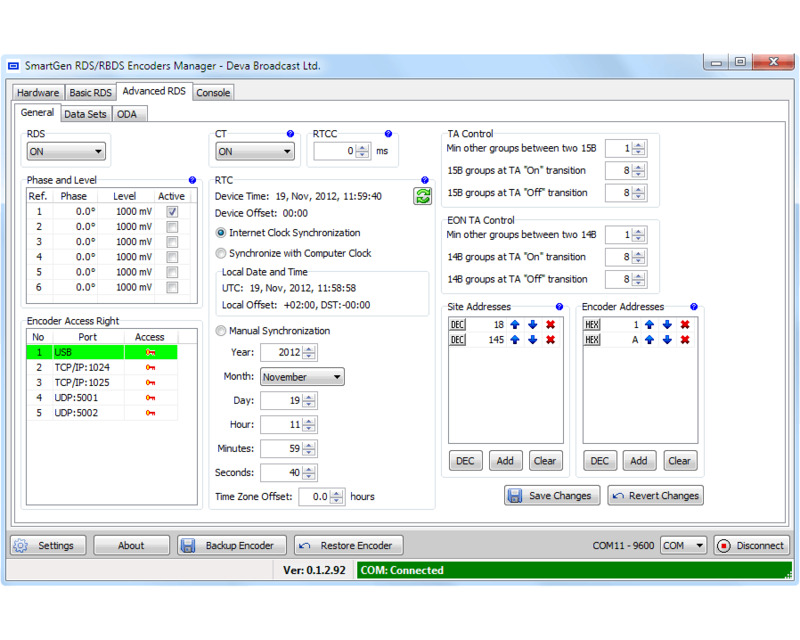 The Smartgen 4.1 supports all service IDs and offers simultaneous scrolling-PS and RadioText messaging. 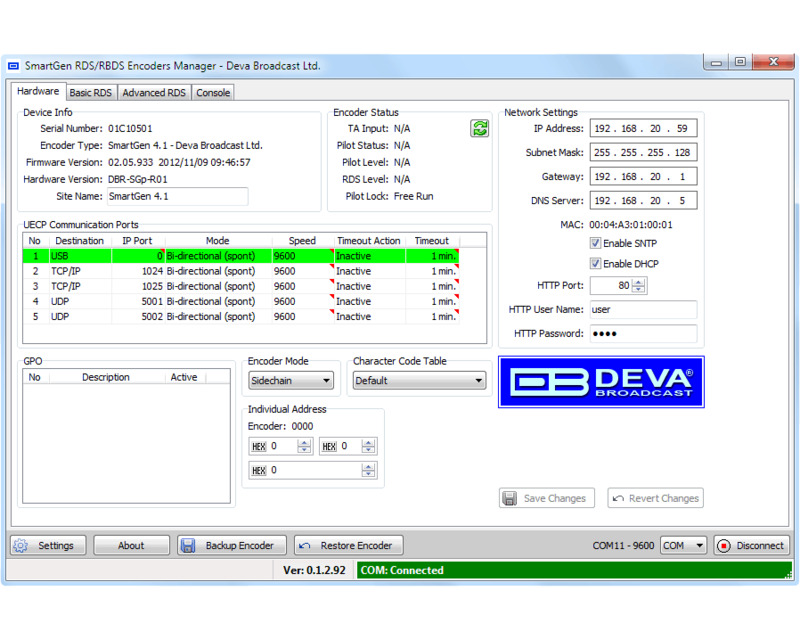 It is fully compatible with the latest UECP EBU SPB490 Version 7.05. The interactive function RT+ for song tagging is fully supported. Based on the latest RDS technology, the SmartGen 4.1 is fully digital design for 24/7/365 operation. It is the most cost effective solution for sending TMC and EWS Services. 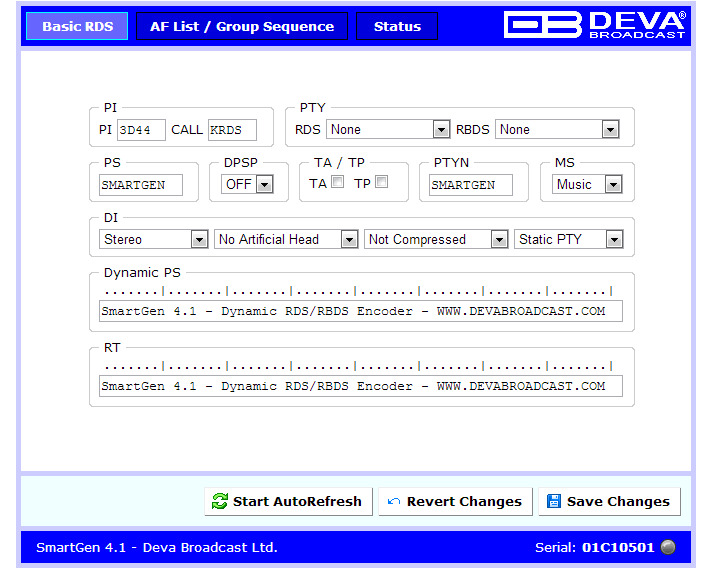 SmartGen 4.1 gives dynamic, on-the-fly programming access with its built-in USB, TCP/IP, UDP/IP interfaces. 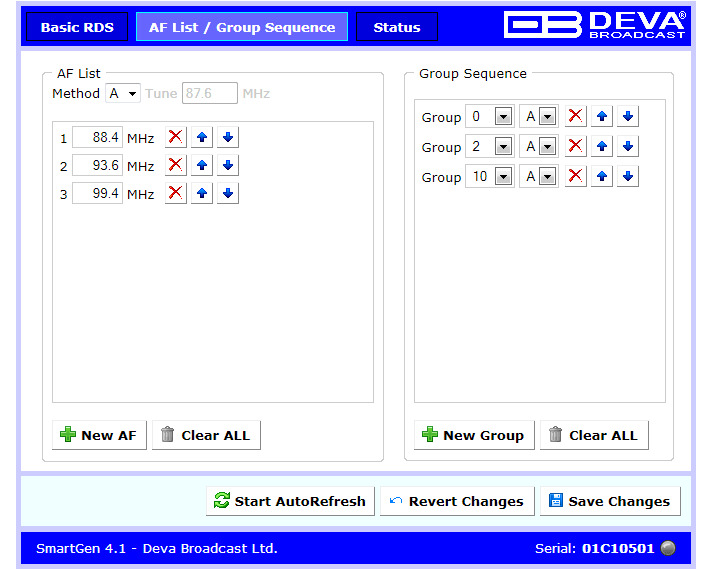 This connectivity permits full integration of RDS/RBDS transmissions with the station’s other networked functions, including message streams for digital radio and Webcasting. 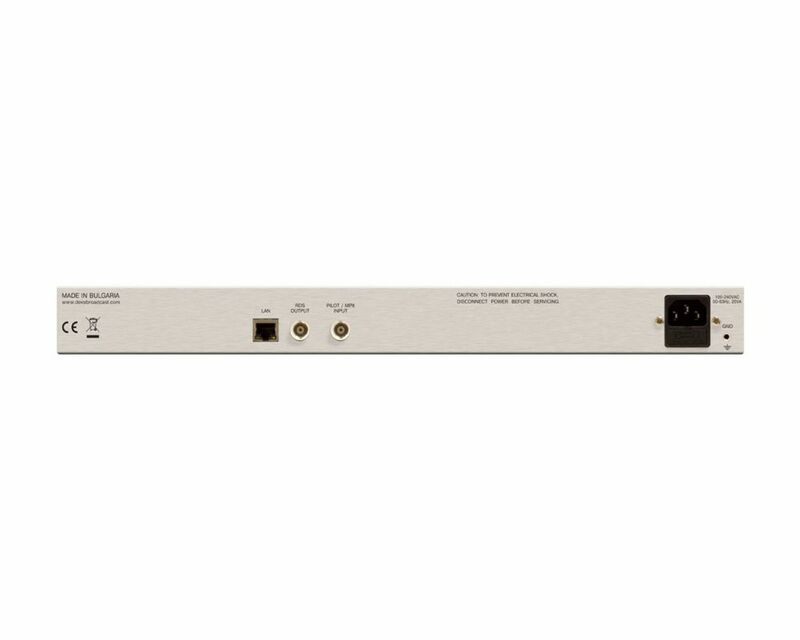 The SmartGen 4.1 encoder provides a full loopthrough interface for connection to your existing broadcast chain. 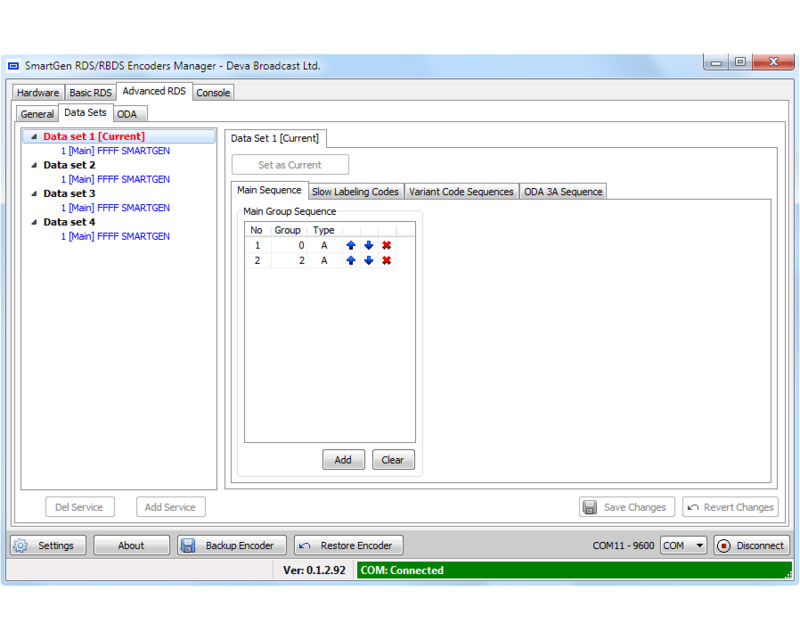 The SmartGen 4.1 can 'parse' scrolling text, automatically breaking phrases into word groups. 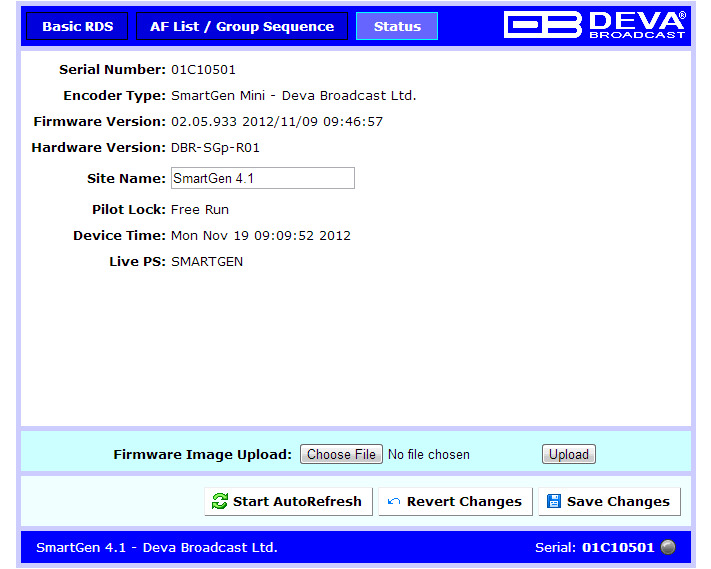 The SmartGen 3.1 is the quick and inexpensive RDS/RBDS encoder from DEVA Broadcast. 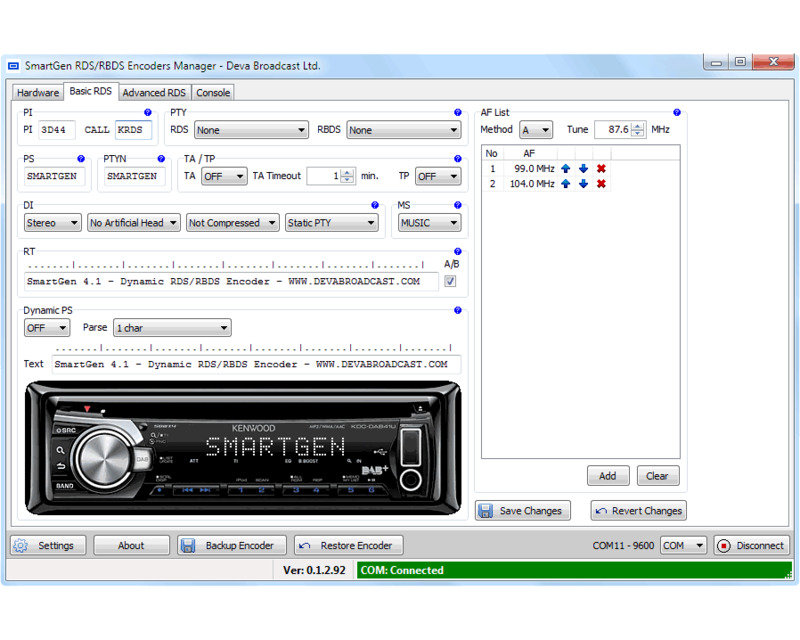 SmartGen 6.0 - UECP Compatible RDS/RBDS Encoder with LAN, USB & RS-232 Connectivity. Manufactured to meet the highest standards in broadcasting, SmartGen 6 encoder furnishes all the mandatory for this high class equipment features, at competitive price.